Bobby James enters the “Freak Show” – BOBBY JAMES. When Ryan Murphy announced that American Horror Story: Freak Show would feature the most sinister clown ever recorded, I figured it was time to face my fear. I decided to tackle evil clowns head-on. As a result, I created a collection of art pieces featuring (seemy posts Clownin’ Around and Enter the Circus) those who were vilified by “Pennywise” from Stephen King’s It. 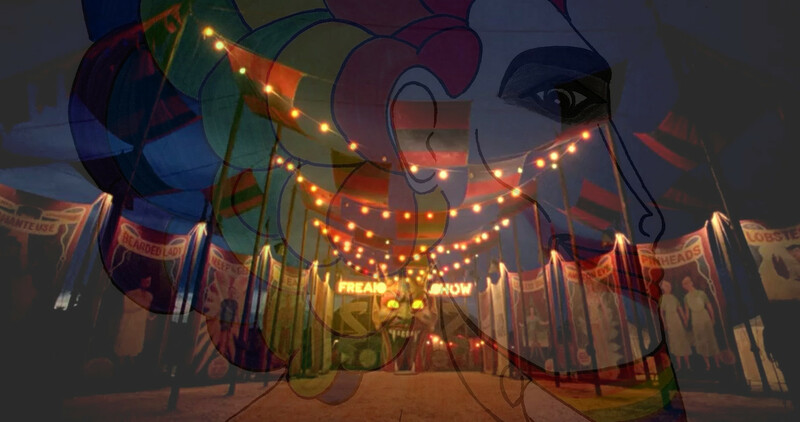 I took a screen cap from the most recent trailer for Freak Show and overlaid my piece titled “Circus Freak.” Enjoy. Circus Freak meets Freak Show. 2014.